A diamond’s beauty, rarity and price depend on the interplay of the 4Cs: Cut, Color, Clarity and Carat weight. 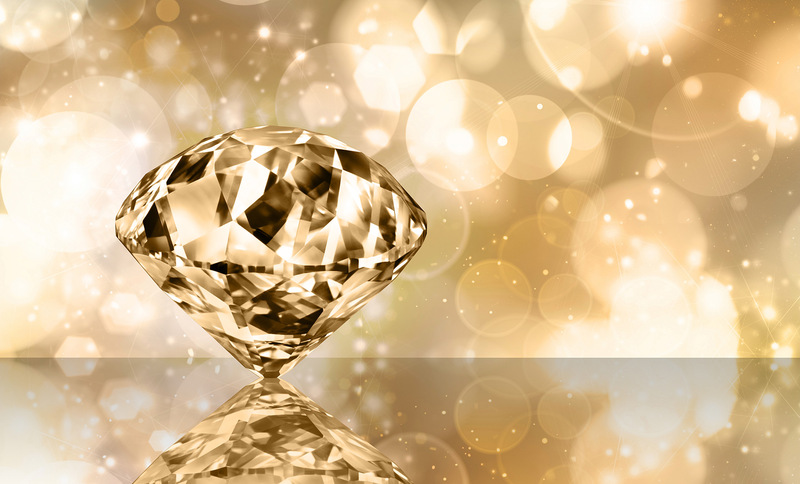 The 4Cs are used worldwide to classify the value of diamonds. Diamonds with the highest combination of the highest 4C ratings are more rare and, consequently, more valuable. No one C is more important than another; however, all 4Cs can be maximized to find the most beautiful diamond to fit your budget and lifestyle. People often confuse a diamond’s cut grade with its shape. A diamond’s shape is a matter of personal preference or style and can range from designs like a traditional round to a fancy trillion. The cut grade evaluates the intricate angles crafted to enhance the fire and interplay of light within the diamond. A high cut grade is crucial because it enables more light to reflect and refract, ultimately making the diamond more valuable. The Carat Weight of a diamond is not a measurement of size; it is a measurement of weight. Carat weight images are not to scale.